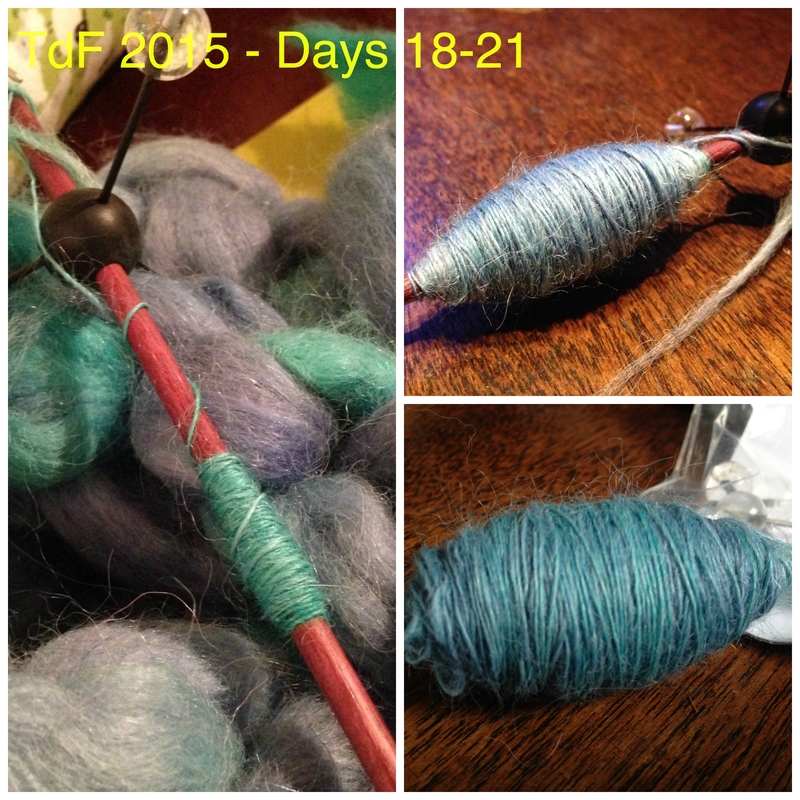 Very little spinning done on days 18-21 of this year’s Tour. Day 18 was spent travelling to and attending the funeral of a friend who died suddenly in an accident a couple of weeks ago. Day 19 was spent travelling from Manchester to Suffolk for a 50th birthday weekend, and so went days 20 and 21. I only had my trindle with me, and was working on some Hilltop Cloud British superfine alpaca. This entry was posted in Spinning and tagged tdf2015 on 27 July, 2015 by fakoriginal.